[HIP HOP] One of the bigger hip hop line ups of the summer comes to Western New York for a weekend night concert. 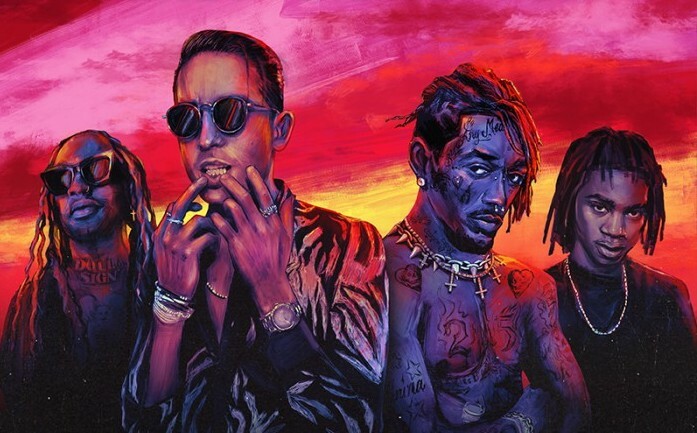 Young yet wildly popular rappers G-Eazy and Lil Uzi Vert will take the stage at Darien Lake for a show this Friday, August 24 along with their friends Ty Dolla $ign, YBN Nahmir, Murda Beatz, and P-lo. The tour, dubbed the “Endless Summer Tour,” will be packed with hits, from Uzi Vert’s “XO TOur Llif3” to G-Eazy’s latest “1942,” featuring Yo Gotti and YBN Namir. Dolla $ign has had a big summer too, featuring on two of the biggest album’s of year, Drake’s Scorpion, and Kanye West and Kid Cudi’s collaboration Kids See Ghosts. Not to mention one of the hottest producers in hip hop right now, Murda Beatz, who has produced hit tracks for Drake, Migos, G-Eazy, Travis Scott, Cardi B, and just about every other well known name in hip hop right now. Don’t miss the Endless Summer Tour, this weekend at Darien Lake.